A high quality child resistant design, for up to 1 oz of cannabis. 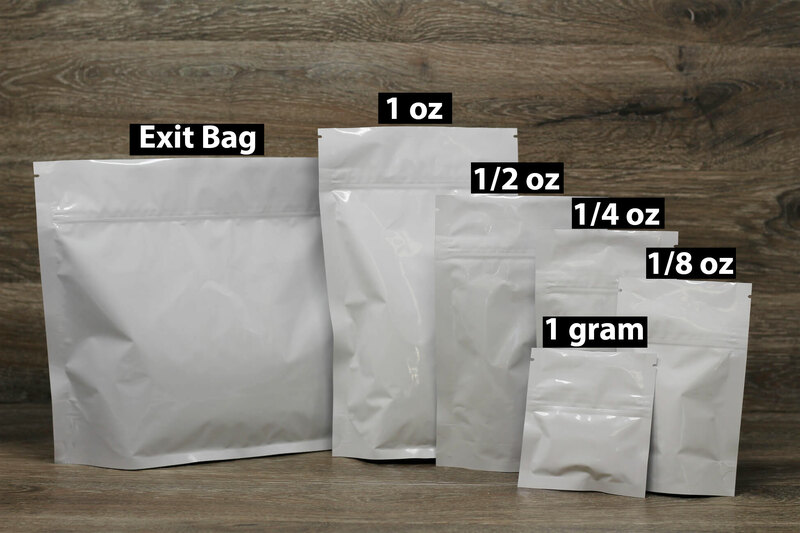 If using for something other than cannabis please review sizing chart. Economical child resistant bags are a great choice for your project. Child Resistant Pouch. Ensure your product is provided to the customer in a compliant pouch that meets the standards of ASTM D3475-15. 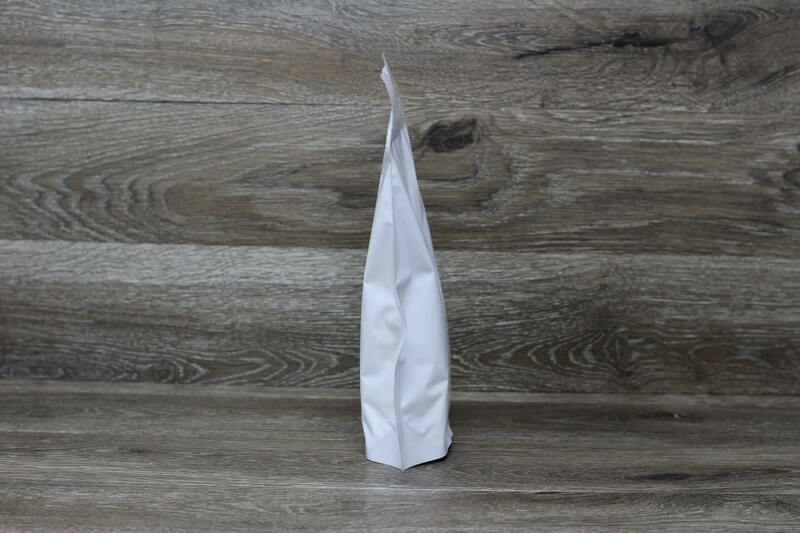 Ultrawhite is a high-grade barrier packaging product made up of five different layers with different barrier and technical properties to each layer. The exterior layer has 48 ga polyethylene terephthalate (PET) film while the interior is made up of Linear Low-Density Polyethylene (LLDPE) of 1.5mil thickness. Embedded between the exterior and the interior layers are two layers of 12 films of Polyethylene (PE) each and 0.000285 foil thickness. Need Printed 1 oz Child Resistant Stand Up Pouch White 6x10x2.5 ? The best option to help your business grow is with pre-printed packaging. Labels require labor and effort to apply, they also cost extra money and do not look as professional. 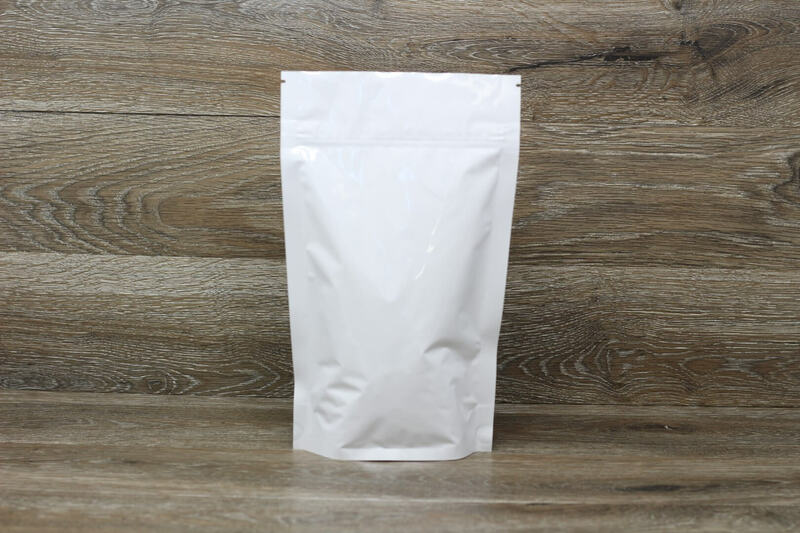 With fully printed mylar bags, your pouches will shine on the shelf. Plate and Digital printing options. Print on the gusset too! The cost of White 1oz (6x10x2.5) child resistant mylar bags is dependent on a few factors. So, to get an accurate quote just give us a call at 949-336-1541 or contact us. Can I customize these bags? Yes! We offer custom sizes, and multiple other configurations. MOQs are 5,000 bags. Just give us a call or contact us. We can customize you select the exact size and configuration of the pouch. What is the Minimum Order Quantity “MOQ” on custom sizing or printing? Generally MOQ’s on custom bags, ranges from 1,000 – 5,000 bags. Are the Dimensions listed outside or inside? We list both outside and inside dimensions in the detailed specifications. Do you offer this product with a child resistant zipper? We offer a selection of stock child resistant bags, as well as customized child resistant packaging options. You can also print your logo and designs on pouches with CR zippers. Are these bags FDA approved? Yes our products are FDA approved. Are these bags BPA free? I needed these bags yesterday. What do I do? Do you offer quantity discounts on your stock pouches? Yes, if you are interested in buying in volumes of 10,000 or more please call.